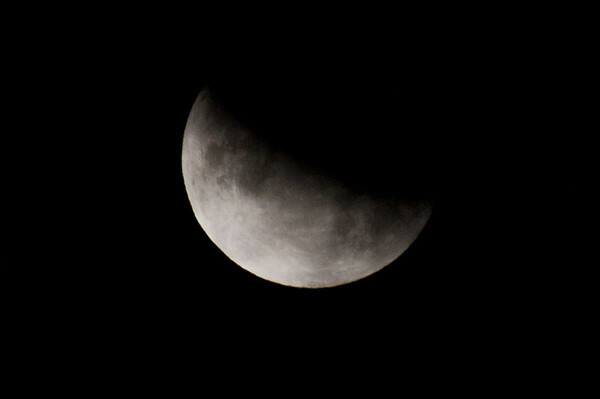 On the morning of Saturday, June 29th there was a lunar eclipse in the sky. This happens when the Sun, Earth and Moon all line up perfectly such that the Earth is directly in between the Sun and the Moon, blocking light from reaching the Moon. June 29th was not a full lunar eclipse, meaning the moon was only partially covered by the Earth. The maximum eclipse occurred sometime around 4:30am PST. 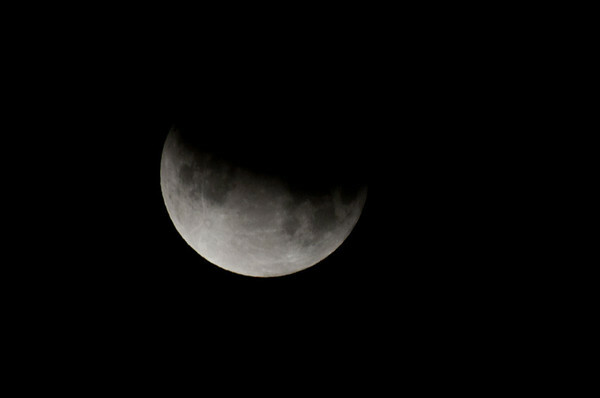 I woke up randomly at 2:30am and decided to get out of bed and see if the lunar eclipse was happening. I had thought about driving up to San Francisco to take these pictures with the Golden Gate Bridge as the backdrop but I decided not to risk the fog. 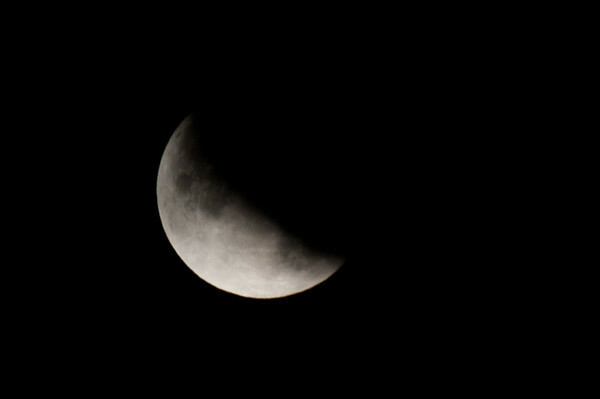 I ended up falling back asleep, on the couch, until about 3:30am when I woke up to an already partial eclipse. I started snapping away and was awake until about 5am. My girlfriend woke me up at 7:15am to start our day off with a hike. Needless to say, I didn't get much sleep! 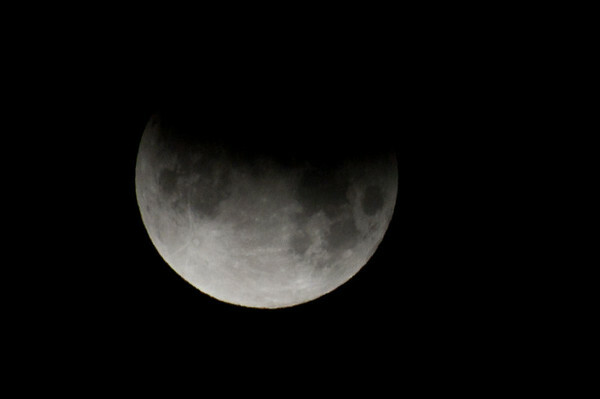 When I first started shooting the lunar eclipse I could take the photos handheld at about 1/800 to 1/1000 of a second. Unfortunately the weather didn't want to cooperate and at about 4am the clouds started rolling in. 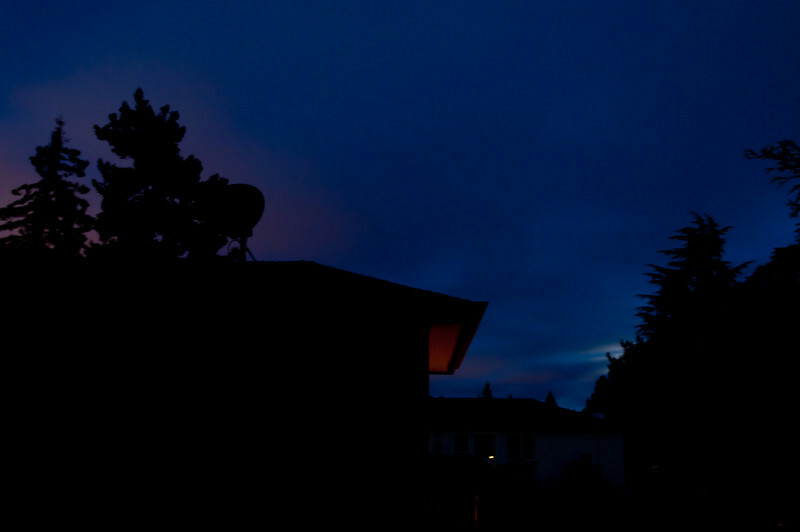 By 4:30am the clouds/fog had set and I could barely see the moon. 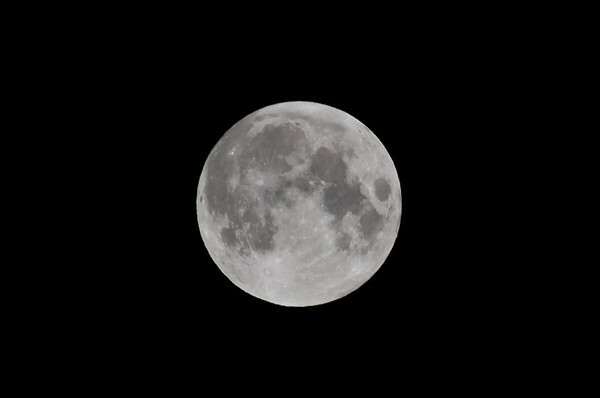 I bumped the ISO up a bit and waited for a window in the clouds to take the photos. 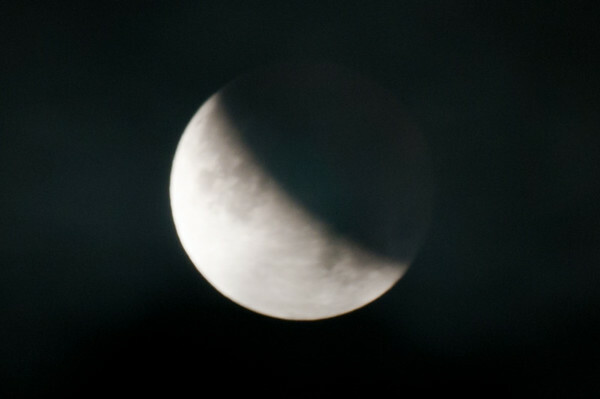 At one point the clouds were so thick I abandoned any chance at handheld photos, grabbed my tripod and set it up. 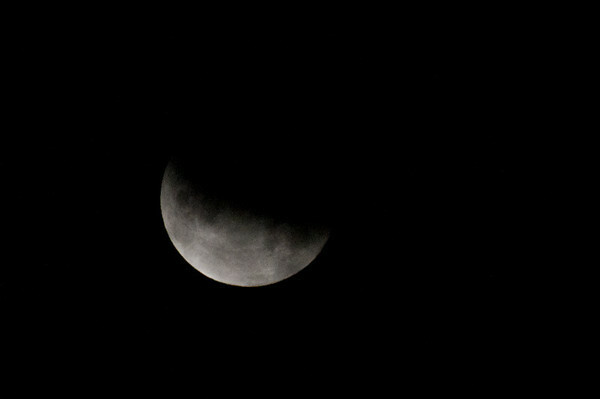 Sure enough, at 4:35am I got my *one* shot at the maximum eclipse and thank goodness I had the tripod. This is the view out my balcony of the night sky. That house didn't exist 2 years ago but now it blocks my view of the Santa Cruz Mountains! 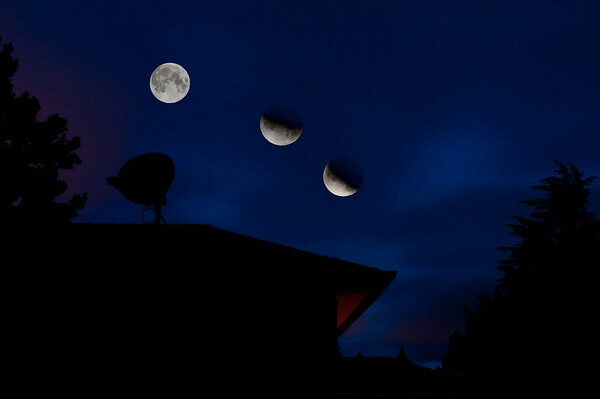 I took 3 of the individual moon photos and laid them on top to create this little mosaic. It's after midnight now and I gave up on trying to make it look super-realistic. The View out my balcony of the night sky. That house didn't exist 2 years ago but now it blocks my view of the Santa Cruz Mountains!